Three weeks ago I showed you this manicure with different designs I was playing around with. I loved the pattern on my index finger as did some of you. So for today I've got a complete manicure for you with that same pattern. 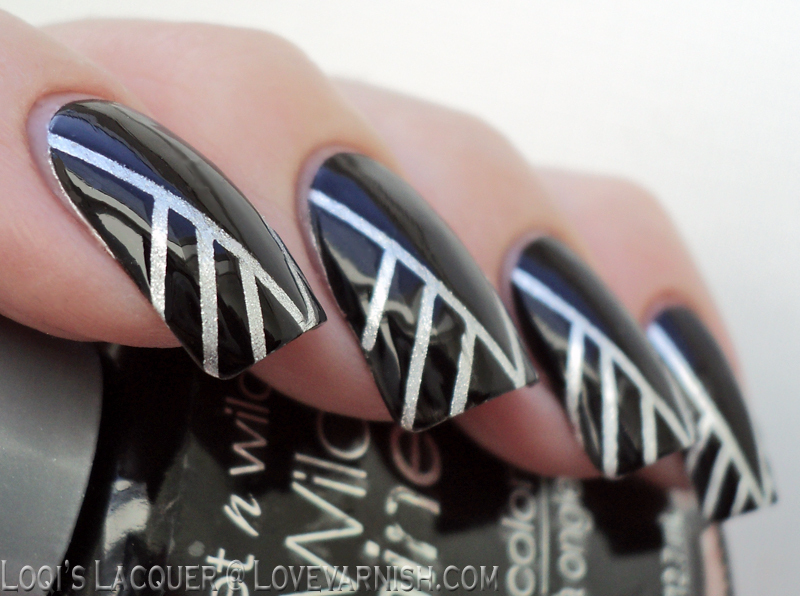 I absolutely adore the combination of black with silver so that seemed an obvious choice for this manicure. The silver base is China glaze Millennium and the black is Wet 'n wild Black crème. I am so happy with how this turned out! It's kind of sleek and modern looking, which I thought was really nice. I hope you guys like it too and see you next week!